Today we took Noah to get his first real haircut. I say that because this was actually the second time we’ve taken Noah to get a haircut. I can’t really count his first hair cut as his first real haircut however since all he did was sit on my lap at the end of one of my haircuts and have my hairstylist give him a trim. 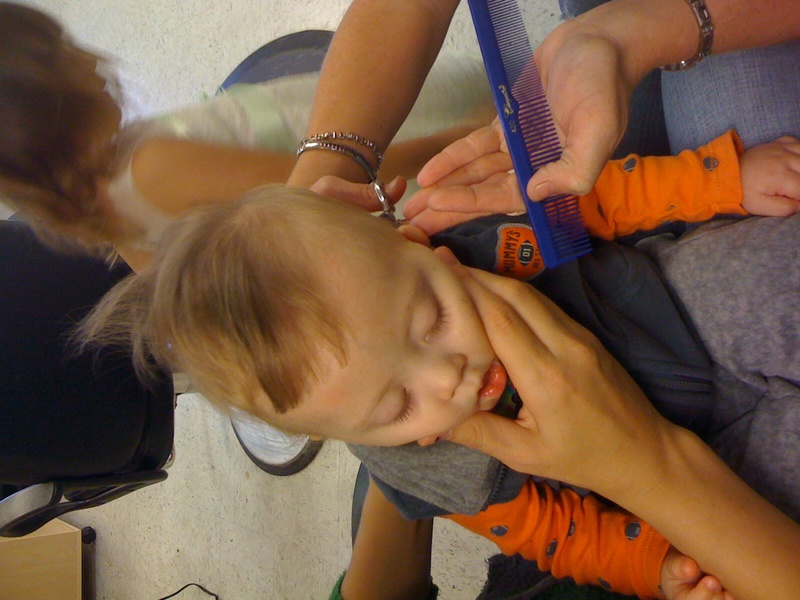 Oh and he wasn’t a fan, but really, what toddler really likes to get a haircut? I’ve heard horror stories from other parents about their frustrating experience trying to get their child’s haircut, and I was worried how Noah would do when he had to actually get a real haircut. 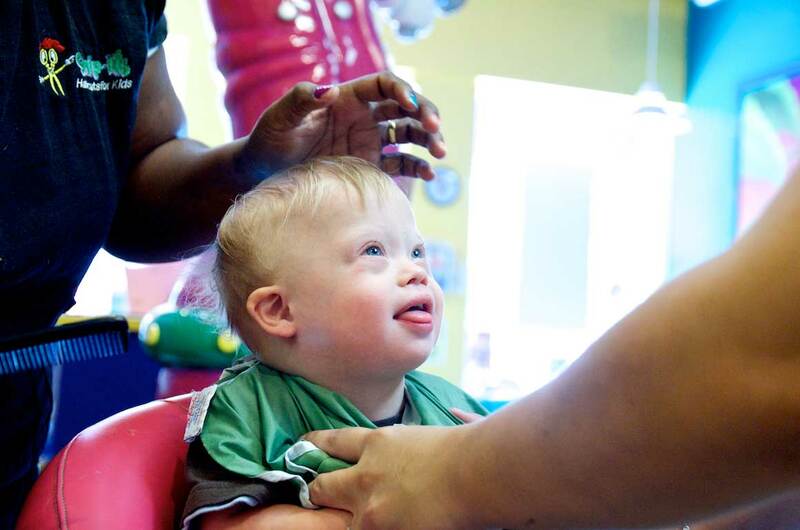 Thankfully, we found a place that specializes in giving kids haircuts, but not just that…they actually specialize in giving children with special needs haircuts! Pretty awesome, huh? 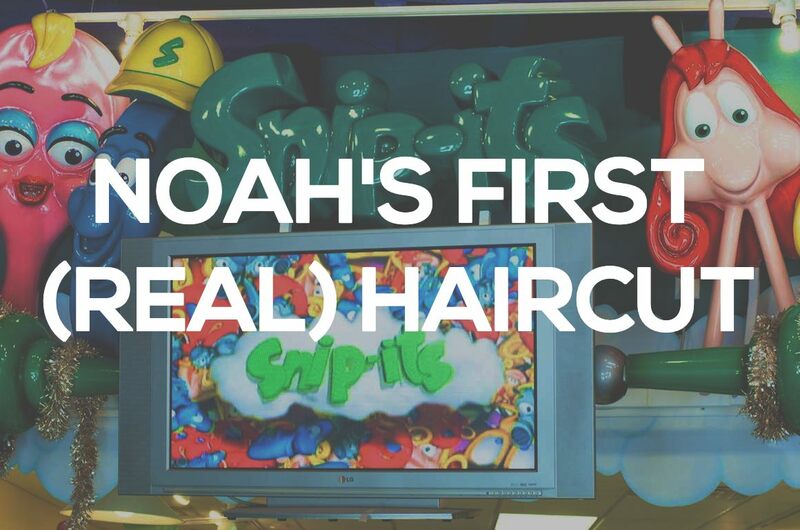 Check out the video below of Noah getting his first haircut from Snip-Its below then keep reading to see why we like this place! I thought Snip-Its was a local chain, but it turns out they actually have locations all over the United States. 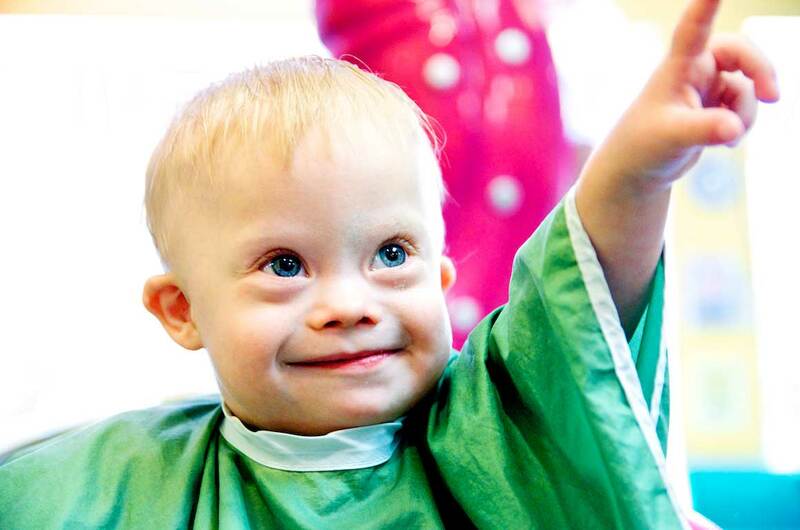 For those of you looking for a great place to take your toddler (or child with special needs) to get a haircut I thought I’d give you a few reasons why Snip-Its rocks! 1. 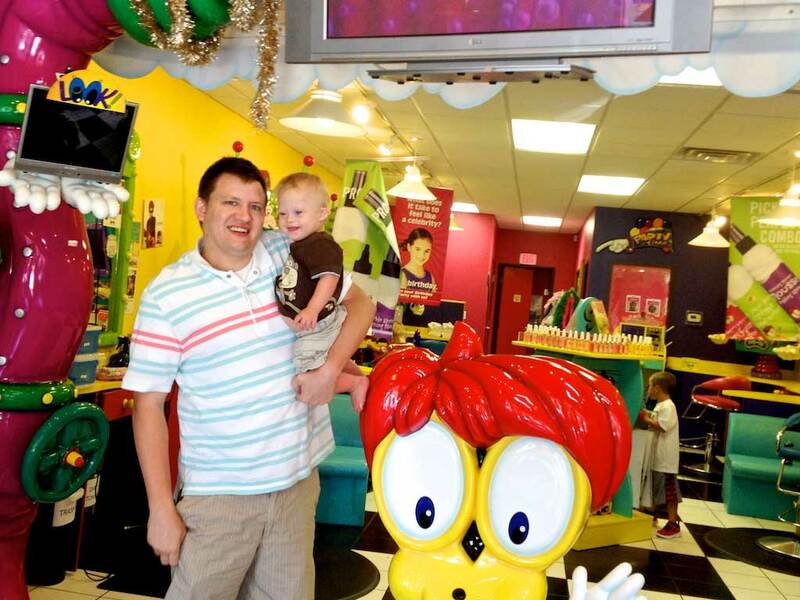 They have a fun, kid-friendly atmosphere. From the second you walk in you are greeted by a super fun environment that really draws kids in. Snip-Its feels more like Disney Land than a barber shop. Each station your child sits at as a television that plays cartoons that helps to distract kids from the hair cut awesomeness! 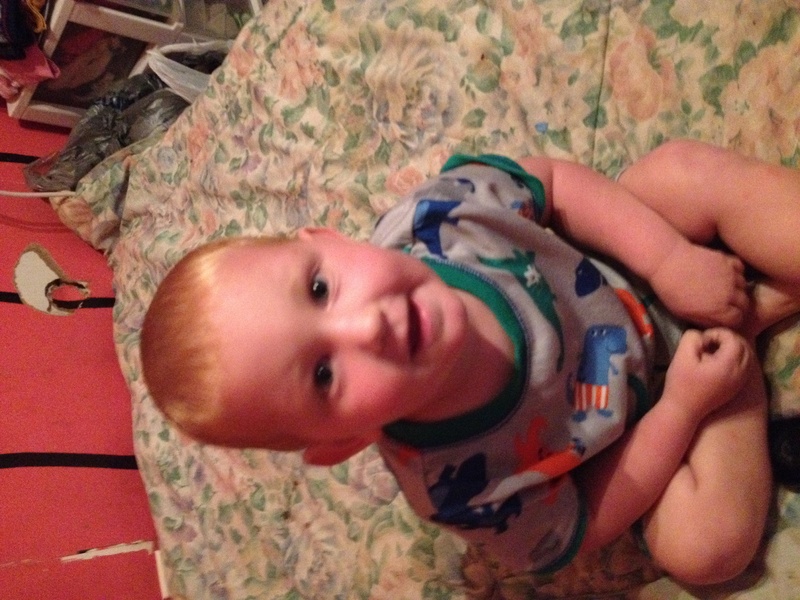 Noah and his mommy…after the haircut! (Although Noah really wasn’t feeling the cartoons, he was more concerned with those metal blades coming towards his head!) But still, the environment is fun, and one that your kids will enjoy walking into. 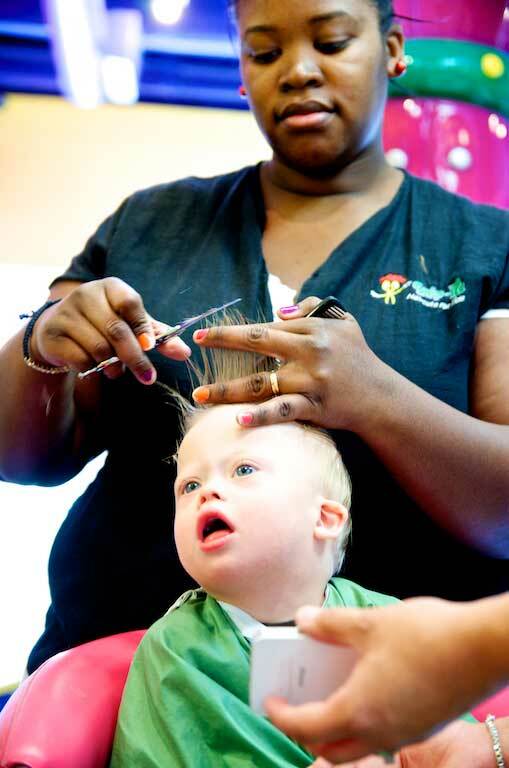 Unlike most barber shops who cut people’s hair of all ages, Snip-Its only cuts children’s hair so they are trained to help them calm down and get their haircut. The entire time Noah was getting his hair cut the lady that was cutting his hair would stop and blow bubbles, show him toys, etc. 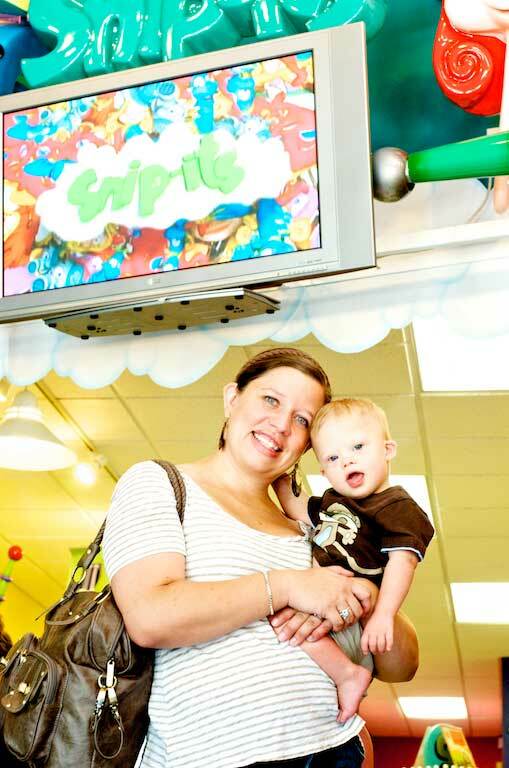 It doesn’t mean he has all smiles (as you can tell from the pictures and video) but I could see kids liking this place. As I mentioned they are also trained to work with children with special needs, and even have a video on their website about how they support the autism community. That’s pretty cool in my book! Trying to distract him with a little iPhone movie! 3. Your kids get a prize at the end of the haircut! As you saw in the video above Noah got to get a prize after his haircut was over, and hey, who doesn’t like prizes! 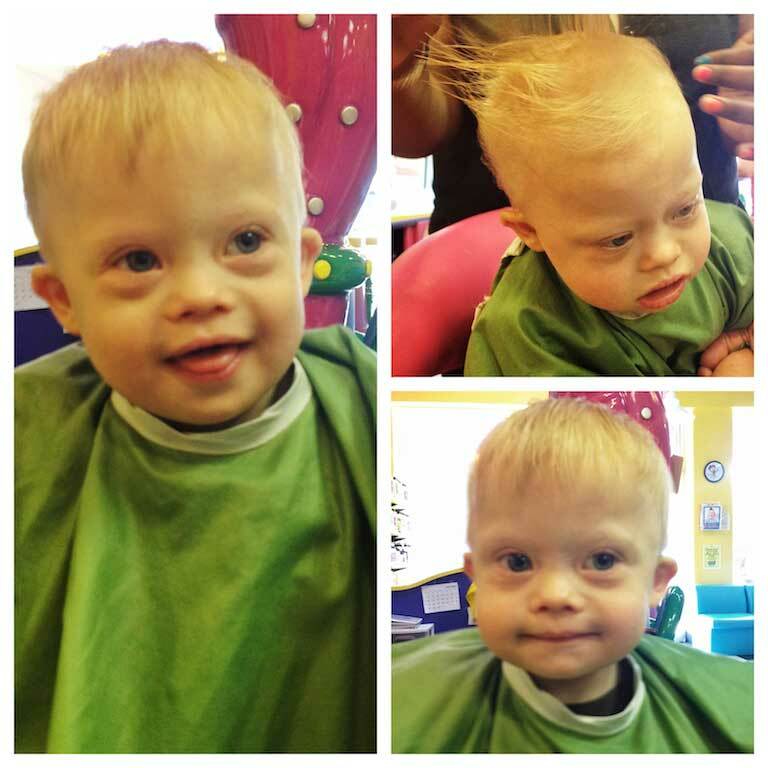 We really had a great experience getting Noah’s first real haircut done at Snip-Its. The hair stylists were kind, patient, and Noah really liked it here (for the most part.) Noah’s only one year old at the time at this video, and I don’t know many one year olds who love getting their hair cut, but all and all I think he did great! 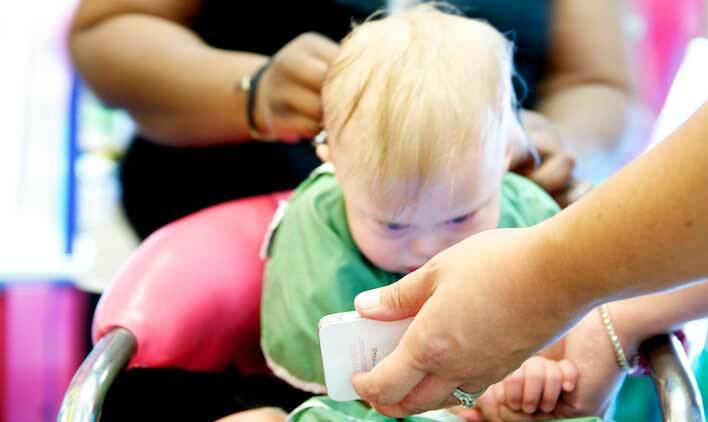 We will certainly be going back to Snip-Its for future hair cuts. By the way, they also do some fun themed birthday parties, which I’m assuming would be pretty fun for a little girl! Have you ever been to Snip-Its? 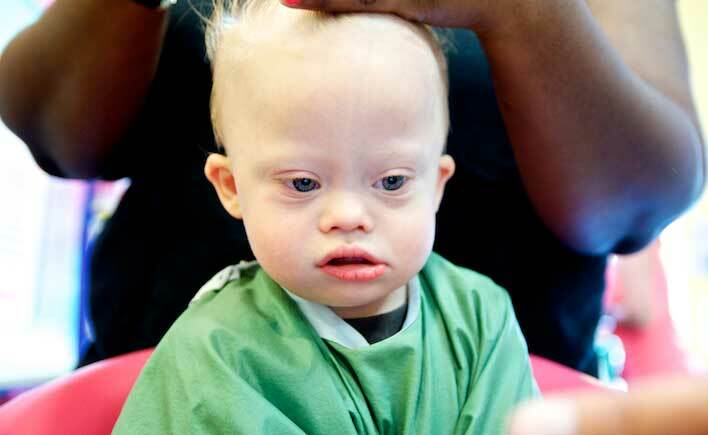 Where does your child go for hair cuts, and how does your child do when getting haircuts? Leave a comment below and be sure to add any tips that could help parents whose child doesn’t do so well at the barber shop. Thanks! Thanks for your comment. I don’t know your brother, but are you sure his mind is at a three years old level? Don’t under estimate people with Down syndrome, they are capable of doing some pretty amazing things! 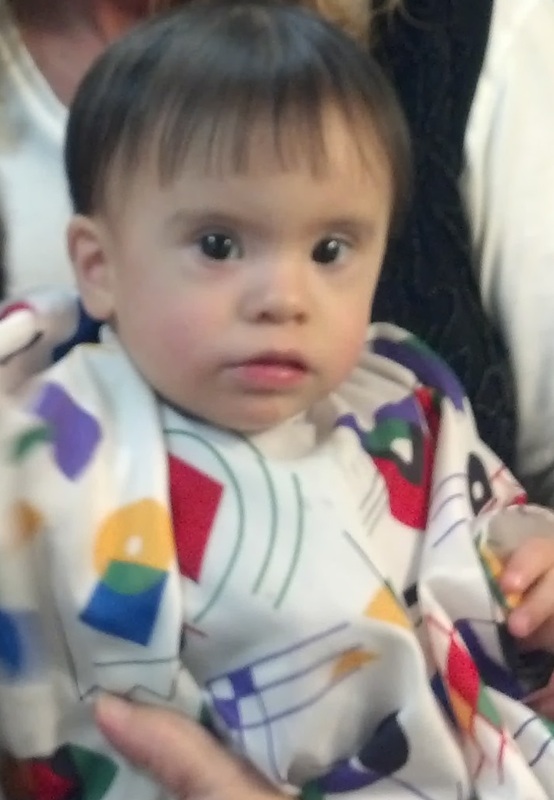 This is Keyan’s first haircut!! It’s not at a Snip-It location, however she (Robyn, from Robyn’s Nest Salon) did a great job! This one is from 2 years ago– and he was asleep! Talk about an easy haircut 🙂 all the ones after have been a little more complicated!!! But she does a great job and is fast!! Awwww..thanks for posting, this is a fun picture! And wow! How did you get him to go to sleep for his haircut!? That is amazing! This is so awesome! Wish there were more people and places like Snip-It’s! Thanks! Where do you children get their haircuts? Wow, I can’t believe the other hairdresser said that you, I”m so sorry. It sounds like you found a good place now, way to guy! And thanks for the advice to other parents on how to help their child get their haircut! Great article and photos! I am a Cosmetology Instructor at a High School Cosmetology Program. We are especially blessed that our department shares the hall with the EC Department so my students and I get to help children with special needs almost on a daily basis. It is great experience. 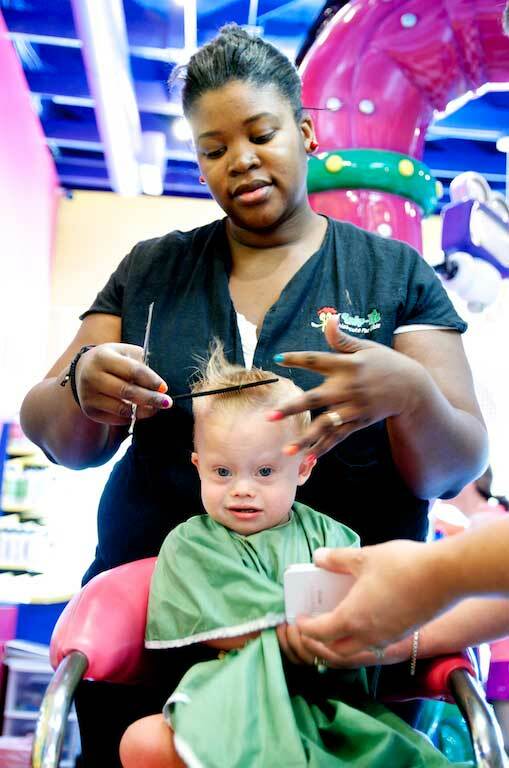 Every salon in which I worked before I started teaching I was the “child specialist”. Personally, since Noah isn’t a blur in the pictures, I think he did preetty well! That’s awesome! You’ll have to tell me what the “EC department is” I don’t think I’ve heard that term before. Are you a high school student now? Wow, way to go guys! Are you going to continue to cut his hair yourself, or will you eventually take him to a barber shop? Haha, Noah does not look happy in that video, though I will say he looks just like every other kid that gets their hair cut. Benjamin just got his first haircut and he was none too pleased about it either. By the way your little guy is ADORABLE! Thanks for sharing his picture. Does he have any brothers or sisters? We got my daughters first haircut done at Snip-Its and we loved it. She was 2.5. She also got her hair braided and nails done too. I love how kid friendly they were. I also like the little certificate they give you with the little piece of hair. That’s awesome! We’ve actually brought Noah back o Snip-Its several times since this video and he’s had a good experience each time! You have probably already figured this out, but EC stands for exceptional children. Hi Rick!! I just wanted to say how amazing Noah did (& mom & dad!) with his haircut!! I’m the manager of the SnipIts in Pearland, Texas! 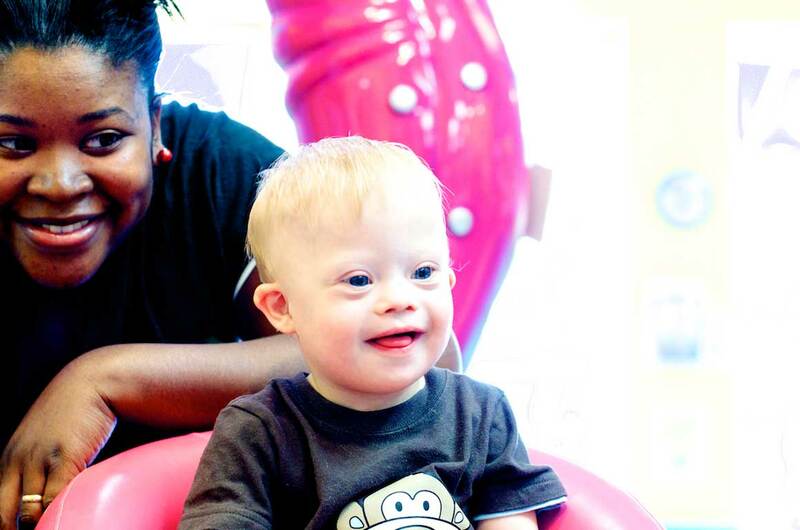 We love helping with any child’s needs no matter what those needs are! It does take special stylists to be able to do what we do and to love what we do for any family that walks in our doors. Know if you’re ever in Pearland, Texas please know you’re all welcome and cared for! Take care and God Bless! !